ʻĀINA In Schools Docents Gear Up for Spring Lessons! 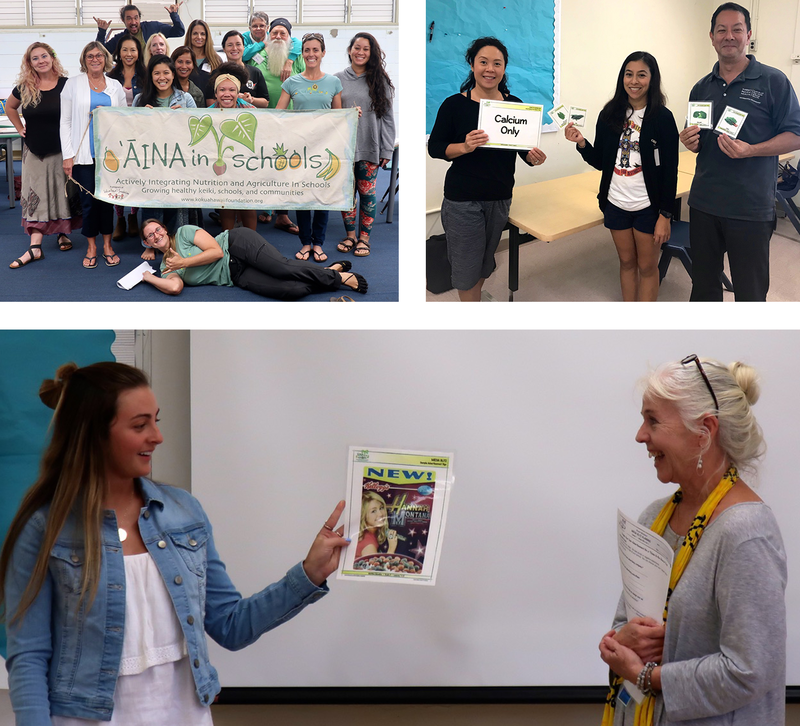 The ʻĀINA parent and community Garden, Compost, and Nutrition Docents just completed the final Nutrition, Garden, and Compost docent trainings and are ready to deliver Spring ʻĀINA In Schools lessons to students. ʻĀINA Docent Teams include new and returning docents, some of whom have been docents with the ʻĀINA In Schools program for many years! Fun was had by all as we got hands-on with the lesson activities! Mahalo to World Centric for donating all the ʻĀINA Lesson bio-compostable items used for lesson snacks, and for Whole Foods and Down to Earth for their ongoing support in providing lesson snack ingredients at a discount. For more information about how to get involved with the ʻĀINA In Schools program contact [email protected]kokuahawaiifoundation.org.